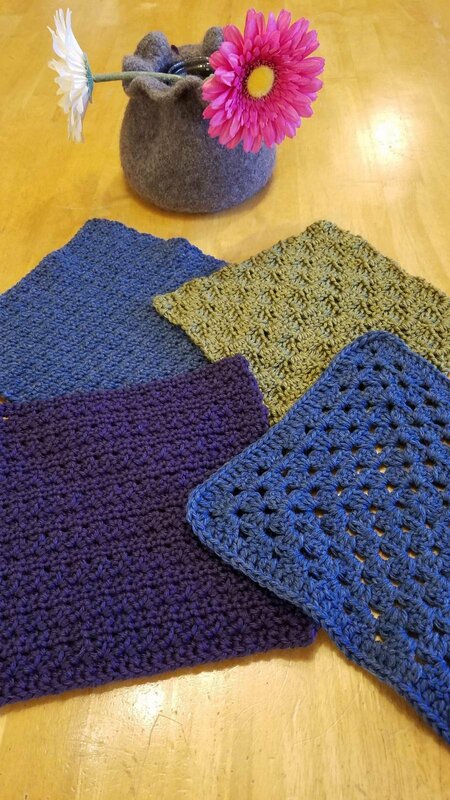 This crochet skill-building series is the perfect way for those who have learned the basics to gain confidence while learning new stitches and techniques including how to read charts. Our samples were made using a wool blend and can be connected to make a blanket or shawl. You could choose to make cotton squares to use as dishcloths! These also make excellent gifts! You don't have to stop with a square. Keep stitching and make a scarf or cowl. We'll show you just how easy it is. Materials: 3-4 skeins of Cascade Pacific Yarn (will need approx 80-120 yards per block, or a total of 3 skeins if doing all 4 blocks in the same color), size H and size I crochet hook, removable stitch markers, darning needle. Pattern will be provided in class. Skill Level: Beginner – must be proficient with basic crochet stitches.